New York is one of the most exciting and dynamic cities in the world. Real estate here is well-known for offering up an abundance of investment prospects. Being one of the most famed cities in the world, New York City real estate has exclusive investment opportunities for everyone. But as expected, investing in this glorious city is never a walk in the park. In this post, we shall discuss 6 ways to invest in New York real estate, just so you can proceed to make your investment decision from a point of information. This allows potential investors to buy real estate, turn it around, and rent it out instantly. A turnkey property might sound too good to be true. Nevertheless, there are firms that focus on dealing with this type of real estate. This gives an exceptional opportunity for individuals who are wanting to invest in real estate in New York, especially when they live in another city. In the end, you will be able to save time as well as have the peace of mind knowing you are dealing with a professional outfit, hence less likelihood of getting ripped off. A property management company can care for your turnkey property, but this may have an impact on your profit margins. This real estate investment approach is particularly appealing to people who want experience in the real estate market but who lack the time or interest to modernize a property or manage maintenance problems. The real estate market has been growing over the last decade. It is obvious to see that a lot of this is down to the inadequate housing inventory in New York City. In this fashion, the prediction is that the construction of new residential buildings will continue to flourish over the next few years. So, it is easy to realize why investing in the construction aspect of real estate could be a smart move. A whole industry of builders will be developing new neighborhoods in New York and rehabilitating existing districts. Now might be a decent time to buy into home construction. But why invest in home construction as opposed to purchasing an already-existing property? First, it enables you to take an active part in the investment process. And secondly, engaging in home construction could turn out to be more economical than buying already existing properties whose value is often inflated based on the general perception of the prices of real estate properties in New York. You need a return on your investment, and investing in home construction ensures just that. A real-estate investment-trust (REIT) permits investors to capitalize on the purchase of New York real estate. Unlike various other real estate investments, it can be straightforwardly traded on the stock market – just like any other share. This will make it a good prospect for everyday investors to invest in real estate. It likewise gives exposure to real estate without the need to be a landlord. Investing in REITs can be a significant part of an income-generating portfolio as a result. A REIT, on the whole, lets investments be made in residential property on top of mortgage loans. A REIT usually allows investors to gain access to clusters of real estate that trade like a stock. This way, as a real estate investor in New York, you are open to a plethora of financing options and it’s now upon you to decide the size of the investment you wish to take up based on the resources at your disposal. Also, REIT delivers dividend income due to the requirement to distribute taxable income annually. A REIT is, however, susceptible to the effects of rising interest rates. There are countless businesses that own and manage New York real estate without functioning as a REIT. Even better is the fact that these businesses might give you a lower dividend than if you choose a REIT. They will save you time and the burden of managing a range of issues making it a plain sailing option. Businesses that are real estate devoted include timeshare companies as well as commercial developers. But as a general rule, ensure to do your research comprehensively before buying stock in specific companies. Thorough research will enable you to uncover the most ideal company based on the resources you have at hand as well as the specific location of New York you need to invest in. It will also save you from falling prey to unscrupulous outfits that purport to help new investors, but whose sole motive is to fleece them. 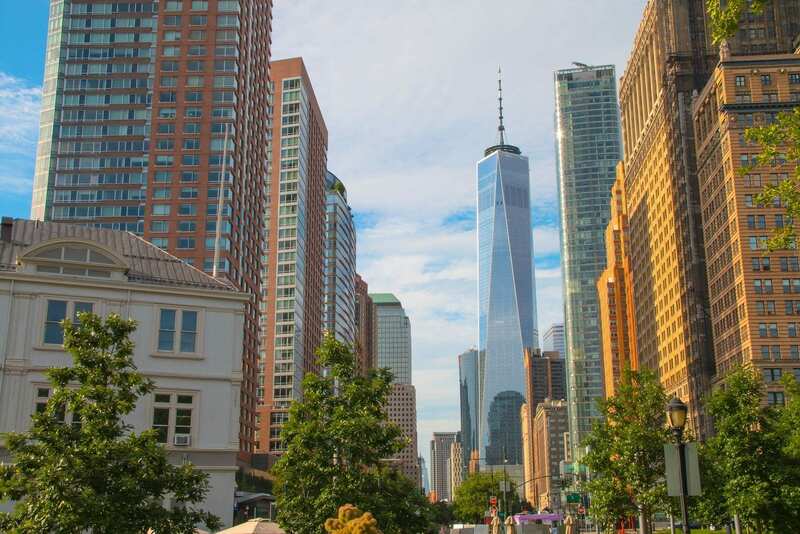 Investment in a real estate management company can be a good idea if you want to experience an explicit type of New York real estate and if you also have the time to explore the company’s history. Finally, there is a wide range of new online companies that have popped up to support real estate investors and help them get involved without all the hassle. Websites let you invest in residential New York real estate investments and have your cash coming back to you in return. Perhaps the main benefit of going the online route is that you can scout for these companies right from the comfort of your home or office. Investing with an online company is comparable to investing in a REIT as money is shared with investments from other individuals who participate online. The money you invest could be used to buy all sorts of properties. In due course, you can expect the benefit of dividends and continuing appreciation from the assets you share. However, we must not forget to state a disclaimer; only invest with online companies that have been in the industry long enough to understand the dynamics of real estate investment in New York. While this does not expressly imply that new entrants are unreliable and illegitimate, real estate investment in a city like New York requires huge capital investment. As such, it is always safer to get it right from the get-go by hiring professionals with long experience in the industry. A good place to begin is to check up the reviews of these companies before finally contacting them. While this is the expensive option you may have been looking to avoid, not every New York rental property will be beyond your budget. Use online real estate investment tools, like Mashvisor’s heatmap, to find an affordable property, even in places like New York. In the end, there are lots of opportunities for investment in New York real estate. It is important to act quickly and have a well thought out financial plan in place. Investigating real estate information helps you to keep your money safe. But then again you can use that same information to investigate just how far your money can go in innumerable areas across New York. By knowing what New York real estate is selling for, and researching the kind of property you are most concerned with, you will have more of an understanding about what is best for you. This article has been contributed by Lorenzo Gutierrez. Lorenzo Gutierrez is an internet marketing consultant from California. 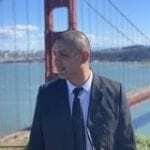 He attended San Jose State University for his Undergraduate and Western Governors University for his Masters in Business (MBA) in Strategy & Management. Lorenzo enjoys wine, coffee, comedies, and anything marketing. Connect with him on his LinkedIn. Why Is Buying an Investment Property the Best Way to Make Money? Should I Invest in Houses for Sale Near Me? Dual Agent: Should You Consider Working With One?